Educational Testing Service (ETS) is the world's largest private nonprofit educational testing and assessment organization. ETS develops, administers, and evaluates the TOEFL iBT® test, the most widely respected English-language test in the world, recognized by more than 9,000 colleges, universities and agencies in more than 130 countries, including Australia, Canada, the U.K. and the United States. ETS selected DesignedUX as their Canadian Agency of Record for managing the marketing and communications TOEFL iBT (Test of English as a Foreign Language), the world’s most accepted academic English-language proficiency test. To increase the number of annual test administrations and brand profile of the TOEFL iBT in Canada, DesignedUX established and directed Canada’s TOEFL iBT Resource Centre for a 3-year campaign. To best support the national-scale of this three-year campaign, we dedicated full-time resources to managing Canada’s TOEFL iBT Center on behalf of ETS. 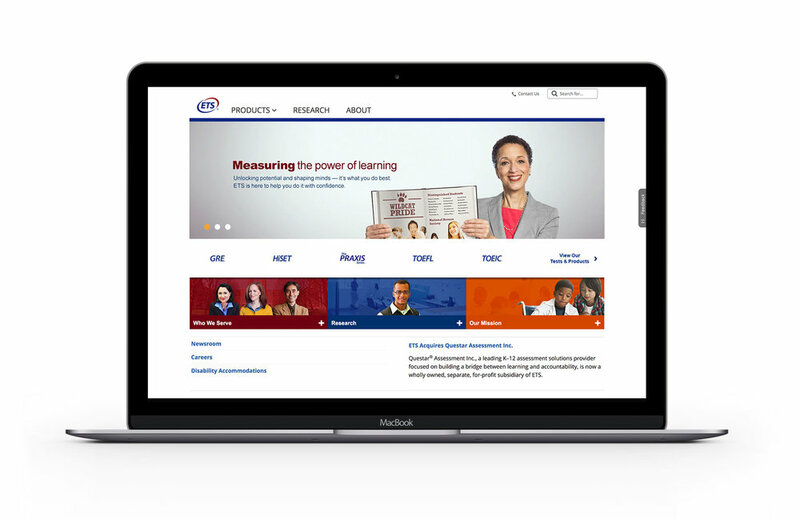 Canada’s TOEFL iBT Resource Centre offered free in-person and digital resources to stakeholders. As ETS’s Canadian representative we managed an email and phone call centre responding to all queries including registration, scheduling, test preparation, and issues management. We also served to increase the number of authorized TOEFL iBT test centres across Canada by acting as a liaison between prospective institutions and ETS. To directly increase awareness for all stakeholders including learners and teachers we provided hundreds of annual in-person presentations to high schools, language schools, and ESL/LINC classes across Canada. We also worked directly with ESL administrators and professional associations to provide TOEFL iBT professional development to ensure ESL instructors had the resources to effectively prepare their students. Interested in our higher education marketing services?